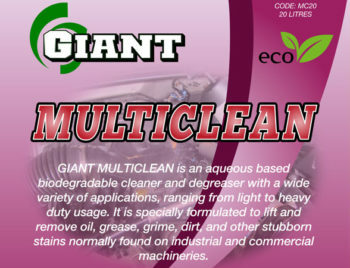 GIANT SUPER SOLVE is a heavy-duty parts cleaner/degreaser for removing heavy/stubborn oil, grease, dirt, dust and other contaminants from mechanical parts. 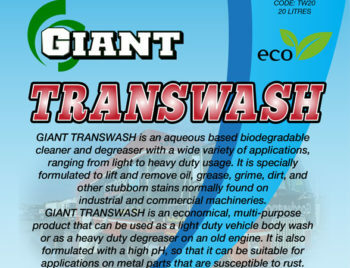 GIANT SUPER SOLVE emulsifies with water and can be readily cleaned off with water. 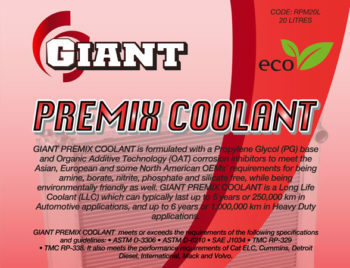 GIANT SUPER SOLVE can be used directly (without dilution) on the metal components of machineries or for pre-assembly of such components, effectively removing heavy/stubborn oil, grease, dirt, dust and contaminants on the metal components and floor areas, commonly found in automotive workshops, fleet maintenance depots, marine vessels, industrial work areas, etc. 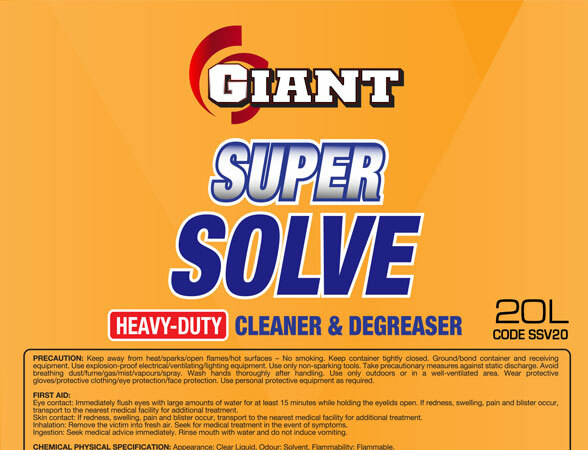 GIANT SUPER SOLVE can be easily/readily washed off with water. 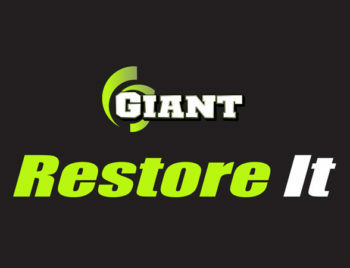 Metal parts with extremely stubborn and difficult to remove grease/oil/stains can be immersed inside a metal tank/container filled with GIANT SUPER SOLVE. After 15-20 minutes of soaking, a brush can be used to further loosen the stains and they can then be washed off with a strong water-jet.